After Airlift and currently working together on Satyameva Jayate, Bhushan Kumar and Nikkhil Advani have decided to come together yet again to produce Batla House to be directed by Nikkhil Advani himself. 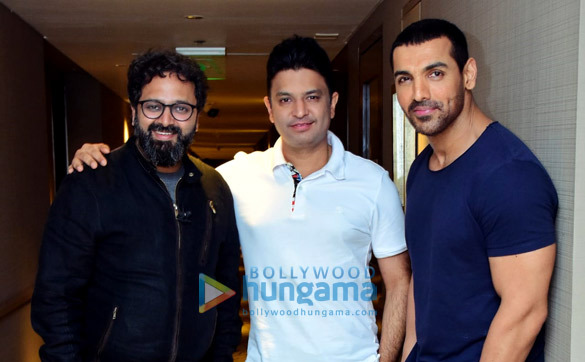 The duo has their Satyameva Jayate actor John Abraham playing the role of Sanjeev Kumar Yadav as the one who spearheaded the Batla House encounter. The thriller drama will be written by Ritesh Shah who has worked with Nikkhil before. The trio have had a great working relation during the making of Satyameva Jayate. And to make the most of this, the makers have decided to jointly produce Batla House together with John. Inspired by the real encounter that took place a decade ago on September 19, the film rolls in September this year. Nikkhil plans on shooting the film in Delhi, Jaipur, Lucknow, Mumbai, and Nepal. The film will be jointly produced by T-Series, Emmay Entertainment & Motion Pictures LLP and JA Entertainment in association with Bake My Cake Films.